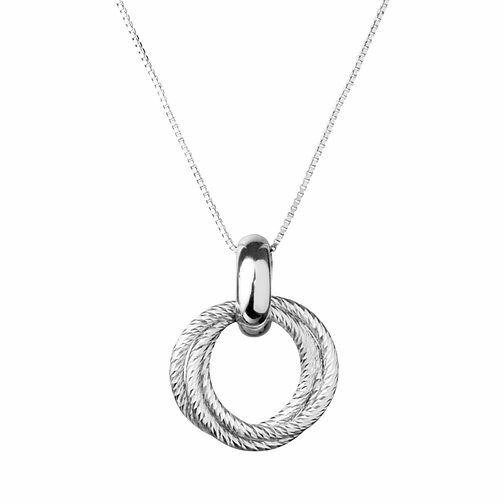 From the Aurora collection, this distinctive pendant combines sterling silver hoops, strung through an elegant silver necklace chain. Offering exquisite craftsmanship and visionary designs, the Links of London collection presents a charming blend of classic and contemporary. Links of London Aurora Sterling Silver Cluster Necklace is rated 4.7 out of 5 by 3. Rated 5 out of 5 by Anonymous from Exactly what you pay for!!! Fast and efficient delivery, amazing price and outstanding quality! Highly recommend as a present, a perfect gift!